Buy today, install today, and enjoy tonight and for years to come. That's the beauty of Quick-Step Laminate Flooring. Our exclusive mechanical locking system eliminates the need for messy glues, clamps and straps and no messy wiping of adhesive. Just align the boards or tile and click them together, it couldn't be easier. Quick Step is the innovator of the glue-less locking mechanism that revolutionized the laminate industry in 1995. Quick Step continues to innovate with realism in design, styling and color and when combined it makes Quick Step the # 1 leader with both consumer and floor covering installers. Quick Step provides consumer with beautiful decors that tailor to every budget. Because of Quick-Steps click system you can actually replace a damaged board in the middle of the room without having to remove all the other boards around it. This is the only brand you can do this with. That's even truer today than when Formica first manufactured laminate flooring in 1995 and the legend lives on. Only sold truly retail flooring specialty stores, Formica has a strict policy to never put there name in a home center or on the internet. 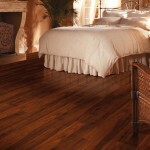 Beauty typifies your customers overall experience when looking for a durable and beautiful laminate floor. Exotic wood species will overwhelm your customers and Formica is priced well below competitive lines, making it a more affordable product with warranties that cover every emergency. You will want to select a floor that coordinates with other objects in the room. (i.e. cabinets, countertops, and fabrics) You will want the color you decide on to complement the style of your room. Lighter colors will make the room appear more open and lighter. While darker colors make the room feel more warm and cozy. Take into consideration the lighting of your room. The amount of lighting you have in your room affects how your floor will look. You'll want to look at how much natural lighting you have coming in from your windows, as well as the artificial lighting in the room. 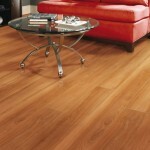 The ease of installation is a significant factor to the popularity of laminate flooring, particularly the glue less type. It's great for D.I.Y.'s. You could install the flooring and move all the furniture back into the room that same day. Some are easier to install than others.